Sequels aren’t always a good thing. Sure, they often times improve the mechanics, add a few optional quests, tack-on some multiplayer modes and smooth out some aging graphics, but usually at the cost of story, character development, purpose and enjoyment. 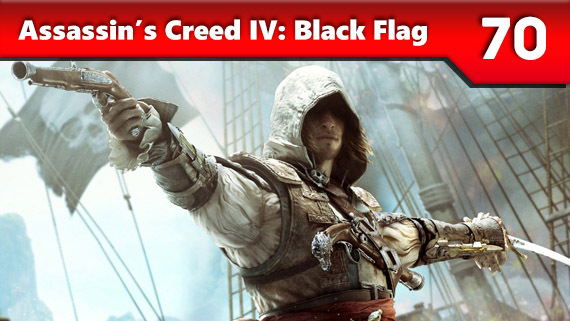 The Assassin’s Creed series is guilty of plenty of gaming’s cheapest offenses when it comes to sequels, but calling Black Flag an exception is an understatement. Not only does the game feel like a standalone title, but the best accomplishment in the series to boot. Being a pirate is as fun as films have made it appear, and every aspect of the game blends beautifully across one of gaming’s largest maps to date. Trials HD had seemingly perfected bike racing, with impressive tracks, sharp controls, and addictive gameplay. 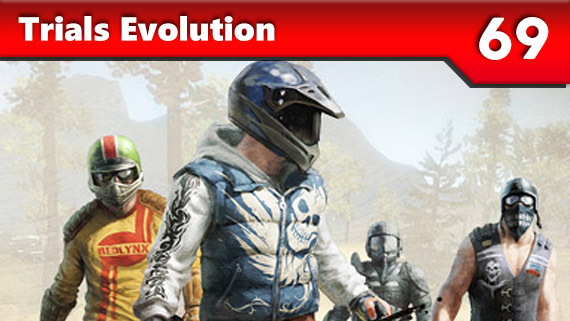 Yet, somehow Trials Evolution absolutely surpassed its predecessor in every way. The addition of multiplayer was more than enough to make this one of the standout games on the XBLA, but the incredibly detailed track editor made this game almost endlessly replayable. While the levels provided in the game were outstanding, many of the user provided levels surpassed them and gave you a reason to come back and check out what is new even years later. Hands down, Metroid Prime III is the culmination of Retro Studio’s coveted series that began back on the GameCube. The third installment of Prime takes all of the elements from the previous titles, and builds upon that foundation, creating the most refined, polished entry of the bunch. 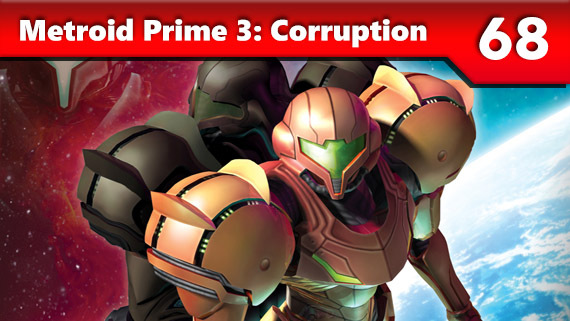 With clever puzzles to solve, a diverse cast of enemies to blast, and some of the biggest, most epic set pieces in the franchise’s history, Prime III not only highlights the developers behind its brilliance, but stands as one of the most robust games in the Wii’s library. Players looking to stealthily assassinate targets in a world chock-full of quirky characters need look no further than the Hitman series, namely, Hitman: Blood Money. 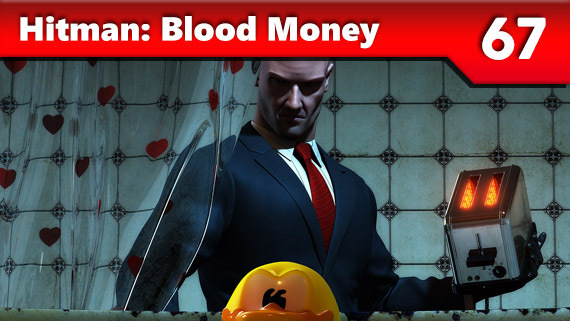 Blood Money took all of the concepts and mechanics built over past installments, and polished them to an impressive sheen. It was almost infinitely replayable, as each mission’s objectives could be completed in dozens of different, unique ways. Whether you decide to spike an unsuspecting person of interest’s coffee, or dress up as a pool cleaner to gain entrance into someone’s house, Hitman: Blood Money is sure to entertain. 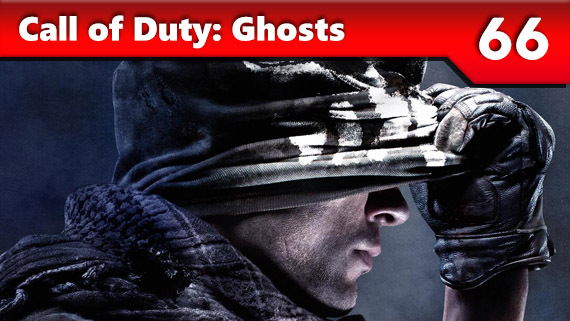 Released during possibly one of the toughest times in gaming history for a game of its genre — weeks before the next-gen consoles and months before what some is expecting to be a huge multiplayer shooting experience in Titanfall — Call of Duty: Ghosts did exactly what was needed to cement its status as the go-to shooter: put Megan Fox in its commercial. Adding several fantastic new multiplayer modes, a polished single-player campaign and the addictive Extinction mode didn’t hurt either. Following in the same flashy and over the top style seen in Bayonetta, Vanquish is perhaps the most unique shooter to release this generation. Everything about this game screams style; from the intricate gun swapping animations, to the action so intense you need to slow down time to keep up. In addition to having style, Vanquish is no slouch in the substance department. 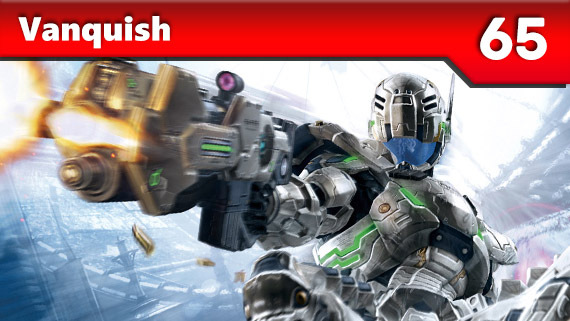 With several enemies having clear cut weaknesses, a gun for every situation and even a few that force you to use your other senses, it’s clear that Vanquish is a must for any third person shooter fan. Despite its somewhat repetitive gameplay, Nier made up for it with one of the best soundtracks this generation and an intriguing story that’s filled with some of the most mind-boggling twists. It’s a heartfelt journey as a father traverses the treacherous world in order to rescue his daughter from evil shadows that roam the open lands. It’s a shame the developer closed up shop as they are no doubt a talented team that has accomplished much. Nier may be a little rough around the edges, but it’s certainly an adventure that’s deserving of exploration. 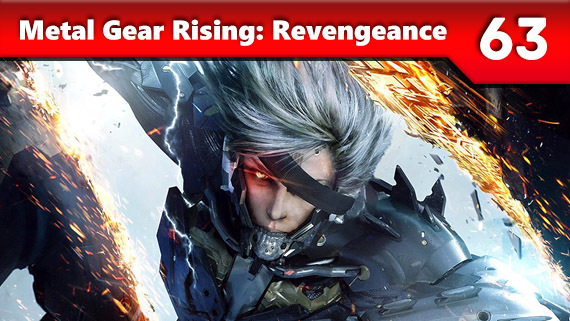 When Metal Gear Rising: Revengeance was first introduced, it received mixed reactions. Several people loved the idea of the game, where as others were sad to see Raiden becoming a main character. 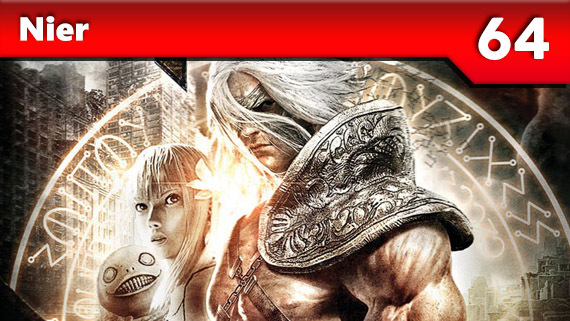 Faith in the game plummeted when Platinum Games took over, though the end result was easily one of the best hack and slash games this generation. With the ability to cut almost everything, intense gameplay that focused on action and an endless wealth of depth to discover, it’s no surprise that Metal Gear Rising will be remembered fondly for years to come. 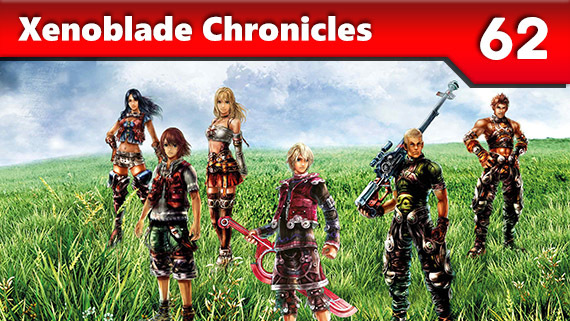 Xenoblade Chronicles was the crown jewel of “Project Rainfall” and its release was among the most anticipated in Wii history. Long-relegated to release outside North America, this action-oriented JRPG features some of the Wii’s most lush environments and best visuals. The soundtrack is fantastic and the PSO-style battle system features quite a bit of depth to it. The story isn’t the most compelling RPG tale ever told, but is fairly epic and enjoyable to play through. 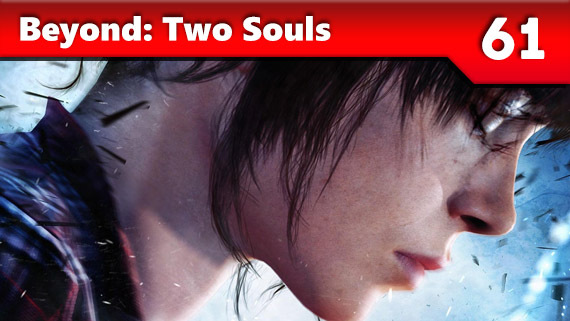 What a beautiful game Beyond: Two Souls turned out to be. After two fantastic efforts in Heavy Rain and Indigo Prophecy, Beyond was Quantic Dream’s most emotional effort to date. Casting the respected Ellen Page and Willem Dafoe lended not only credibility to the game, but a level of realism in dialogue delivery never before seen in video games. It may not be much of a “game,” but those looking for a gripping story can’t do much better than Beyond – regardless of the medium.